Atlanta-based trio CHEW aren’t your ordinary psychedelic rock band. Frantic pacing, technical riffing, bombastic drumming and electronic weirdness encompass their wholly unique take on the genre. 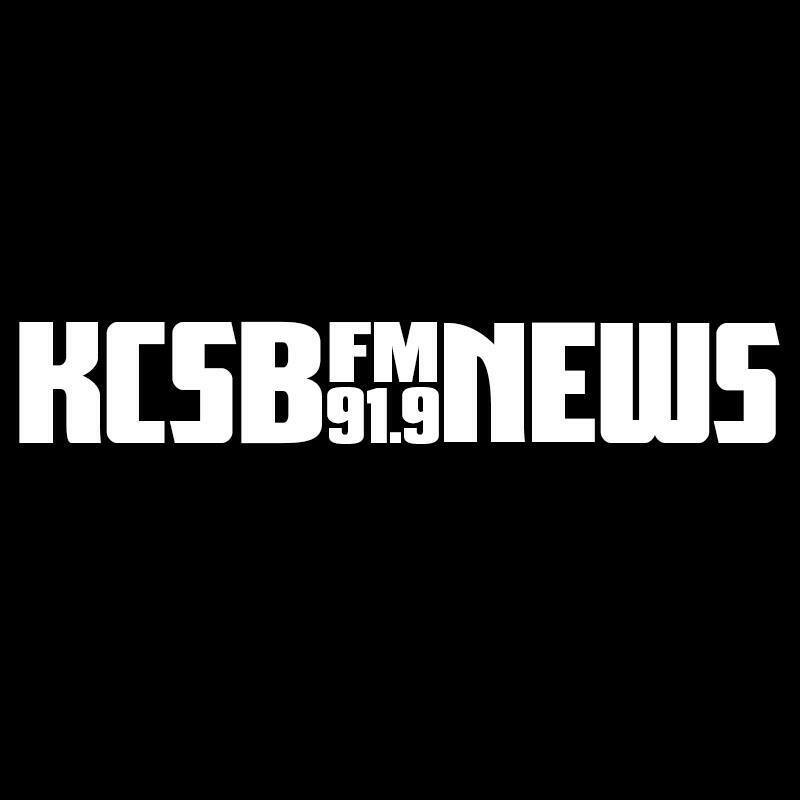 91.9 KCSB-FM’s Spencer VH was able to speak to the band about what it’s like being an instrumental band, must-see destinations in California and their hometown Atlanta music scene. KCSB: Who are CHEW? Have any of you played in previous music projects together or are you a product of your music scene? CHEW: CHEW are three very hungry humans. Sarah’s band and Brandon’s band were both slowing down. They wanted to travel around the Earth and were both looking to make something strange and experimental. They also were really good, so that didn’t hurt. KCSB: When people ask you what your band sounds like, do you have any go-to responses? CHEW: Experimental psych. Black Moth Super Rainbow + Battles x Mars Volta. KCSB: What are some of the challenges as well as some of the benefits of being a fully instrumental band? CHEW: One challenge of being an instrumental band is constantly getting lead singer auditions. It’s funny. Maybe, if we could just find the right one, we could hit the big time! Without a vocalist, you automatically dissolve a big portion of ego. Also, lyrics are very polarizing. Music is mailable. You make it your own. Can you transcribe the wind? I find that when I listen to music without vocals, it easily slips into a soundtrack for whatever is happening around me. What we can’t convey instrumentally, we try to say with song titles and visuals. KCSB: What is your hometown Atlanta music scene like? Does the community embrace many different kinds of spaces as well as many different kinds of bands? Are mixed bills common? CHEW: The Atlanta music scene is on fire right now. There’s a scene for pretty much whatever you can imagine. The psychedelic scene is general is really on point right now. I’m not talking about that watered down garage rock that a lot of people are calling psychedelic. I’m not talking about some silly electronic beats with a dude spitting some garbage about his third eye. I’m talking about some grip your spinal cortex and flip your cerebellum upside down kind of psychedelic. A lot of that scene that comes from the mind of Brannon Boyle, promotor extraordinaire of Speakeasy Promo and Psych Army Intergalactic. KCSB: What are you looking forward to most on this tour? Any particular destinations you can’t wait to visit? CHEW: Brandon has never been to California, so that’s exciting. I can’t wait to show both of them Lake Tahoe and Santa Barbara and meet my friends. We’re definitely going to check out San Francisco, too, We’re also trying to hit Yosemite and The Grand Canyon. We’re all looking forward to being in Colorado for Halloween. Also, we’ll be with our good friends in Kansas City for Sarah’s birthday. A lot to look forward to. KCSB: What’s next for CHEW? CHEW: Recording our new EP, A Fine Accoutrement, a new video coming out for Bianca Vasquez (Trash Hump Island Adventure), finish touring the planet and make our way to the international space station. CHEW will be playing live on 91.9 KCSB-FM’s “today’s active lifestyles” on Thursday, November 9th at 12:00AM (aka midnight on Wednesday night!). You can tune in live via 91.9 KCSB-FM on your radio dial or via live webstream at KCSB.org. Chew out CHEW’s website at this link to hear more of their tunes, check out their tour dates and learn more.